I just can’t be without some knitting project. I am addicted to yarn and sticks. After finishing the last project, I couldn’t bring myself to work on the Bacardi Cardi just yet. 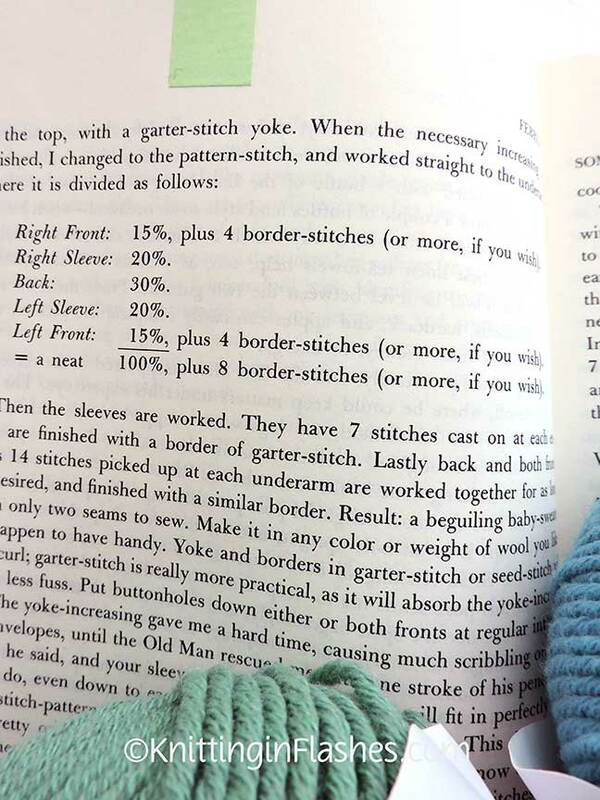 Concentration is needed for the color charts and all those yarns hanging off the sides. …on sale. 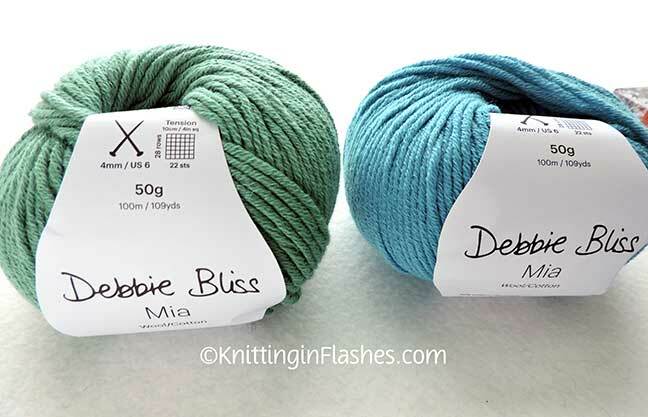 654 yards of Debbie Bliss Mia in Mallard (green) and 545 yards of Aqua. 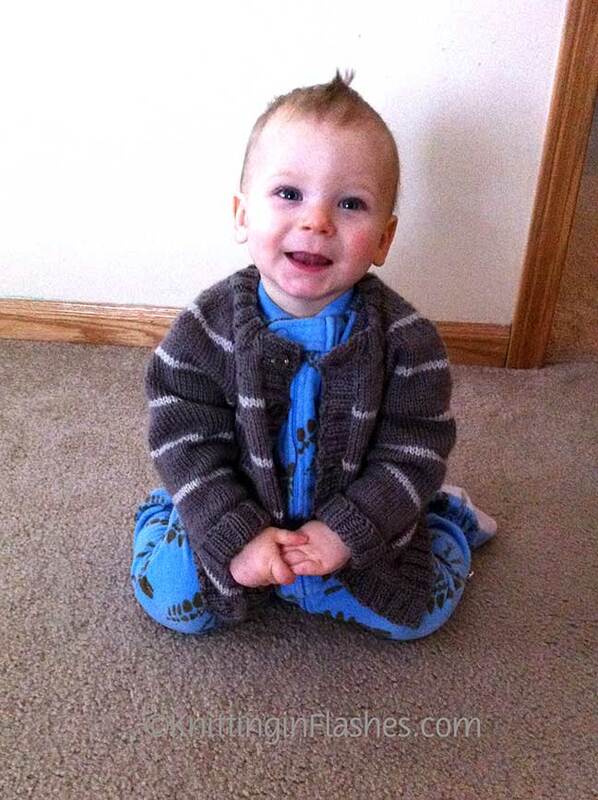 I searched and searched the interwebs and Ravelry for a simple top-down circular, seamless adult-sized sweater. 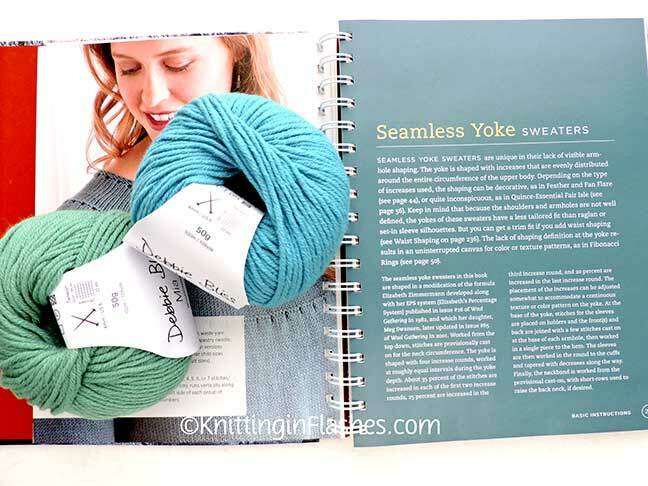 I found the Knitting Fiend Yoke-u-lator and plugged in my numbers. Voila! A simple pattern for the math. 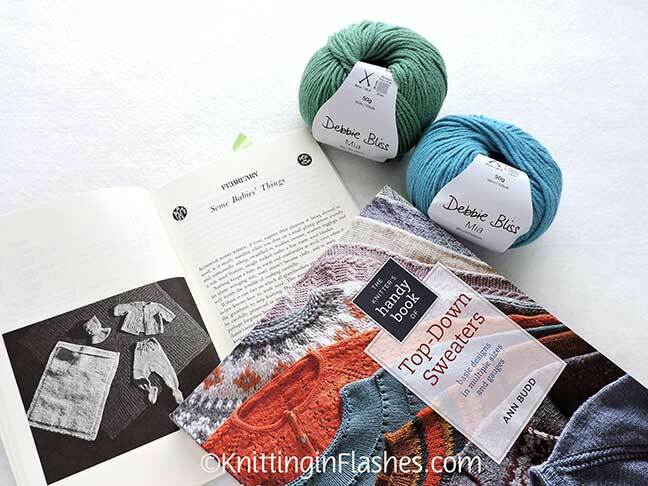 …and the February Baby Sweater on Two Needles from Elizabeth Zimmermann’s Knitters Almanac because I need more detailed instructions. 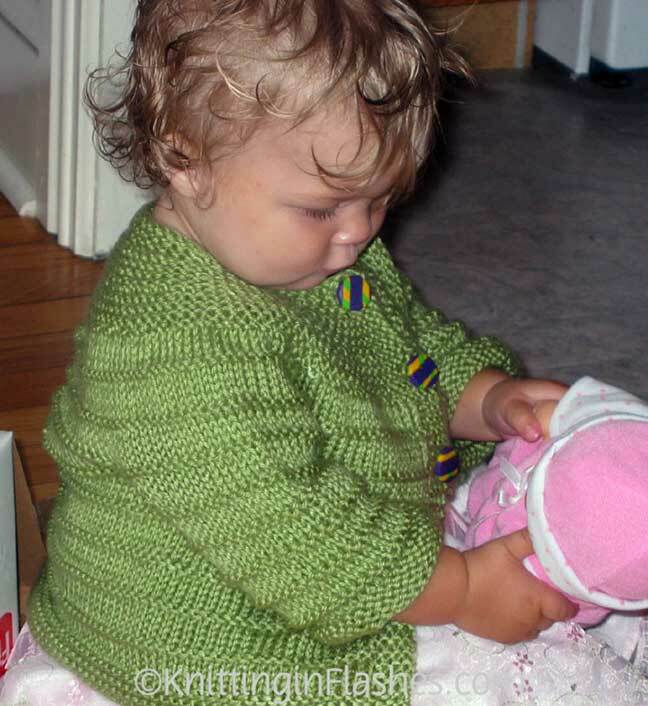 My granddaughter’s green sweater is the February Baby Sweater on two needles and the taupe and tan sweater for my grandson is a combination of the February Baby Sweater and the Knitting Fiend calculations. 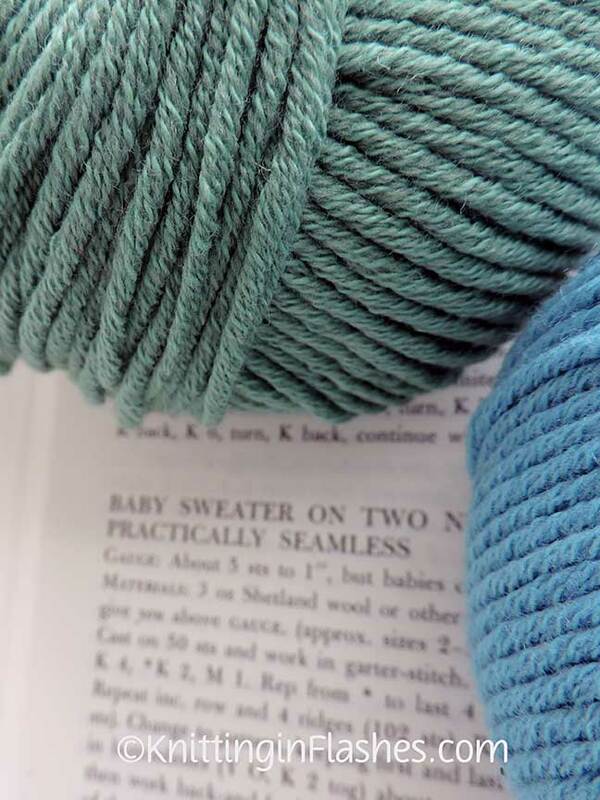 There is not enough of one color of either so this sweater will be two colors. Not sure if that means evenly spaced stripes, unevenly spaced stripes, color blocks, or something different. I’m just making it up as I go. 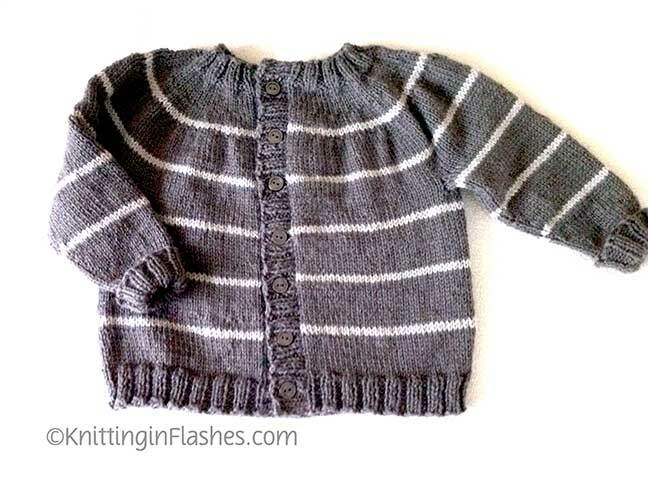 This entry was posted in baby sweater, february baby sweater, knit, knitting, knitting pattern, yarn and tagged February Baby Sweater, knit, knitting, pattern, sweater, yarn by Patti_is_knittinginflashes. Bookmark the permalink. I’m taking notes as I go so I might have a pattern to share. Price was right and so were the colors. I hope so! But if not, so at least you can make another if you like how it comes out! Always need a challange….you go for it!